Procurement is changing, which means the way organisations engage with their suppliers, manage their supplier relationships, and make their purchasing decisions is changing. The focus on managing supply chains more responsibly, or sustainably, is something that is relevant to all current and future procurement and supplier management activities. Sustainability is key part of the evolution of procurement, and therefore needs to be fully understood and integrated into procurement processes. 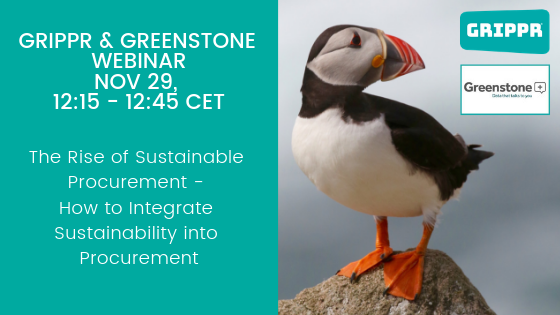 Greenstone has partnered with procurement consultancy, Grippr, to bring you a free 30-minute on the rise of sustainable procurement and practical tips on how to introduce sustainability into procurement processes. Greenstone is an award-winning software provider in the UK, and Grippr is proud to partner with them.